Opiate overdose is a significant cause of mortality among injection drug users (IDUs) in the United States (US). Opiate overdose can be reversed by administering naloxone, an opiate antagonist. Among IDUs, prevalence of witnessing overdose events is high, and the provision of take-home naloxone to IDUs can be an important intervention to reduce the number of overdose fatalities. The Drug Overdose Prevention and Education (DOPE) Project was the first naloxone prescription program (NPP) established in partnership with a county health department (San Francisco Department of Public Health), and is one of the longest running NPPs in the USA. From September 2003 to December 2009, 1,942 individuals were trained and prescribed naloxone through the DOPE Project, of whom 24% returned to receive a naloxone refill, and 11% reported using naloxone during an overdose event. Of 399 overdose events where naloxone was used, participants reported that 89% were reversed. In addition, 83% of participants who reported overdose reversal attributed the reversal to their administration of naloxone, and fewer than 1% reported serious adverse effects. Findings from the DOPE Project add to a growing body of research that suggests that IDUs at high risk of witnessing overdose events are willing to be trained on overdose response strategies and use take-home naloxone during overdose events to prevent deaths. Yet, barriers to intervention and overdose reversal remain. Between 1997 and 2000, EMS response was noted in medical examiner's notes for only 26% of fatal opiate overdoses in San Francisco.8 In surveys, IDUs consistently report a high prevalence of witnessing overdose events,9 , 18, 19, 20, 21, 22 and in one Bay Area survey, 89% of participants reported witnessing an overdose event.9 However, IDUs also report reluctance to contact EMS as a witness.9 , 21, 22, 23, 24, 25 Qualitative research with IDUs indicates that fear of police is a significant barrier to calling emergency services (“9-1-1” in the USA) during an overdose event.21 , 23 IDUs report making other attempts to revive overdose victims without EMS assistance,9 , 21 , 22 and demonstrate willingness to administer naloxone during an overdose if it was made available to them directly.9 , 18 , 23 , 24 This indicates that targeted take-home naloxone prescription and overdose training programs may be an effective intervention to reduce opiate overdose deaths. In response to increased fatal opiate overdose, community-based programs began distributing naloxone directly to IDUs in Europe in 1995,26 and underground programs have been distributing naloxone in the USA since 1999.27 Take-home naloxone prescription programs (NPPs) are currently in place in locales throughout the USA, including large-scale NPPs in Chicago, Baltimore, New York City, New Mexico, and Massachusetts.27, 28, 29 NPPs typically provide overdose response education and naloxone administration training to IDUs and others at high risk of witnessing an opioid overdose, so that participants are able to administer naloxone safely and avert fatalities during overdose events. We present evaluation findings for the DOPE Project NPP in San Francisco, from the start of SFDPH partnership in September 2003 through December 2009. Our goal was to examine the number and demographics of trained participants prescribed take-home naloxone, as well as the prevalence of and reasons for receiving naloxone refills among trained participants. We present prevalence of naloxone administration among individuals receiving refills from the DOPE Project and outcomes of naloxone administration, including any negative effects reported and overall proportion of successful reversals. Since September 2003, DOPE Project staff and SFDPH medical providers have trained and distributed naloxone at sites throughout San Francisco that include syringe exchange programs (SEP), re-entry programs, pain management clinics, methadone maintenance and buprenorphine treatment programs, and single room occupancy (SRO) hotels. The DOPE Project currently conducts trainings and naloxone dispensations approximately eight times per month throughout San Francisco. Participants are usually recruited and trained while waiting to receive services at clinics, dropping off syringes at SEPs, or in group trainings in SROs and treatment programs. Trainings typically last between 10 and 30 minutes and focus on overdose symptom identification, revival strategies, calling EMS, and administering naloxone (Figure 1). After DOPE Project staff train participants, SFDPH medical providers initiate a medical record (clinical registration) and assign each participant a unique identifier. Providers prescribe and dispense naloxone in two 0.4-mg/mL vials and two 3-cm3/mL 22-gauge 1-in muscling syringes along with a rescue breathing mask. All trained participants with unique identifiers and clinical registrations may receive refills of two pre-filled syringes at any subsequent dispensation—when participants use naloxone, lose, or have naloxone confiscated. SFDPH providers do not limit the number of refills trained participants may receive. Components of 10−30-min trainings conducted by DOPE Project staff for all participants receiving take-home naloxone. All participants who receive take-home naloxone complete a brief questionnaire immediately following initial training. The questionnaire is voluntary, self-reported, and administered by DOPE Project or SFDPH staff. Information provided includes date of birth, gender, race/ethnicity, primary language, homeless status, and/or current housing. Participants who receive refills following naloxone administration complete a brief interview with DOPE Project staff. The standard questionnaire captures information about to whom naloxone was administered (e.g., “girlfriend,” “spouse,” “friend,” “stranger,” “self”), and whether participants used other prevention strategies covered in DOPE Project training: sternum rub; awaken victims; call emergency services; rescue breathing; waited with them. Participants are also asked whether an ambulance arrived, and to choose from among seven possible outcomes for the event: they [victim] woke up without any help; they woke up because of my help; paramedics came and revived the person [victim]; paramedics came and I do not know what happened next; they [victim] died; do not know; other (specify). Participants report any “negative consequences” of the overdose and naloxone administration that include: arrest of victim or witness; vomiting; harassment by police; harassment by paramedics; seizure; other (specify). All records used in this study were obtained as part of the DOPE Project routine program monitoring and evaluation. We considered all individuals who were trained, prescribed, and assigned a unique identifier (at clinical registration) as participants in the DOPE Project and used a clinical registration database (Microsoft Excel, Seattle, WA, USA) to calculate total number of trained participants, and participant demographics. Participants who reported being homeless, living at a shelter, transitional housing, or street or “couch surfing” were coded as unstably housed. A separate database of all refills is also maintained by the DOPE Project (Microsoft, Excel, Seattle, WA). Databases were linked by participants’ unique identifiers to determine the number of unduplicated participants who received refills following self-reported loss or use of naloxone, as well as the total number of losses and naloxone use reported, the proportion of individuals receiving multiple refills, and the proportion of individuals reporting multiple naloxone use. We excluded from analysis any records of refills where no unique identifier could be linked to an existing clinical registration (n = 37). We coded reports stating that naloxone was taken by police, San Francisco Department of Public Works (DPW) or sheriff’s office as confiscation; all reports that naloxone was stolen, lost, or destroyed for any reason was coded as being lost. We use information captured in refill questionnaire to determine outcomes for trained participants who reported administering naloxone. Questionnaires were used to determine proportion of participants who used strategies other than naloxone, including contacting EMS. All events where participants reported that the victim was “revived” after naloxone administration are included here as successful reversals—whether or not participants specifically attributed the reversal to naloxone administration. Questionnaires were also used here to report proportion of deaths, unknown outcomes, or any negative effects. From September 2003 to December 2009, the DOPE Project and SFDPH medical providers trained and prescribed naloxone to 1,942 unduplicated individuals in San Francisco. The number of new participants increased steadily from 2003 to 2009, averaging 328 per year. The majority of participants were male (64%) and the median age at training was 40 years old (Table 1). Race/ethnicity was only captured for 75% of participants overall. Of these, 61% were Caucasian and 18% were African American. Housing status was reported by 88% of participants, of whom over half (59%) reported being homeless or unstably housed (not shown). Of the 1,942 participants who receive naloxone prescriptions, 24% returned to receive at least one naloxone refill (Table 2), of whom half returned on more than one occasion to receive multiple refills. Participants requested refills for a variety of reasons, including having naloxone stolen on the street, confiscated in a shelter, or destroyed during unstable housing transition. Of 1,020 refills dispensed, 399 (40%) were provided after participants reported using naloxone during an overdose event, while 49% were provided after participants reported a loss of naloxone, and 12% were provided after participants reported confiscation by police, DPW, or sheriff’s department (upon admission to jail). Of participants who lost naloxone, 27% reported that they also used naloxone in response to a subsequent overdose event. Overall, 11% of all participants reported using naloxone during an overdose event, and 5% reported using multiple prescriptions (refills) during more than one overdose event (Table 2). In addition, a small proportion of participants (not shown) reported using multiple naloxone doses to reverse as many as eight separate overdose events. The cumulative number of naloxone-administration events reported to the DOPE Project has risen steadily since 2004 (Figure 2), with an average of 80 events reported annually. Cumulative number of opioid overdose responses with naloxone reported by DOPE Project participants receiving refills, by year, 2003−2009. In 83% of overdose responses reported, participants stated that naloxone administration reversed the overdose. Participants reported successful outcomes (reversal with or without EMS involvement) for 89% of all overdose events where naloxone was used (Table 3), and an additional 3% of reports indicated that EMS was contacted, but outcome was unknown. Three-quarters of participants who used naloxone also reported using complementary overdose prevention strategies taught by the DOPE Project such as rescue breathing (50%, Table 3). However, a minority (29%) reported calling emergency services, and only 21% of reports included indication that EMS arrived. Although only one participant reported arrest following naloxone administration, 13% of the 84 participants who reported ambulance response also reported some harassment by police or EMS (Table 3). Serious adverse effects were reported rarely and included several instances of seizures (Table 3). In cases for which participants reported a known outcome, vomiting was the most commonly reported negative effect (13%), followed by “anger” or discomfort expressed by victim upon waking (9%). Three participants (<1%) reported witnessing a victim experience symptoms of a seizure following naloxone administration. Victim death was reported by participants in four (1%) events where naloxone was used (not shown). In three of these cases, participants reported that the victim had been unconscious for an undetermined amount of time before they were found, including one victim who was found unconscious in a large public park. These findings are the first to examine overall participant demographics for a longstanding NPP, and indicate that the DOPE Project is well targeted to reach participants who are at high risk of overdose. For example, we found that 46% of those trained by the program identified as unstably housed or homeless, which has been associated with significantly elevated risk of overdose death in previous studies of overdose in San Francisco.29 Moreover, by targeting the program in places where there is a high prevalence of IDUs who witness overdose events, the DOPE Project has trained a steady population of newly prescribed participants, many of whom return to receive refills on multiple occasions, which further indicates that they are not only willing to be trained, but also motivated to keep a naloxone supply available for use during an overdose. We found a substantial proportion of trained participants who reported using naloxone, and the proportion found here was consistent with reports from the Chicago Recovery Alliance, one of the largest NPPs in the USA.27 Additional previous studies have focused on prospectively tracked small samples and targeted follow up,23 , 30 , 32 , 33 making utilization and reversal rates difficult to compare to our findings. 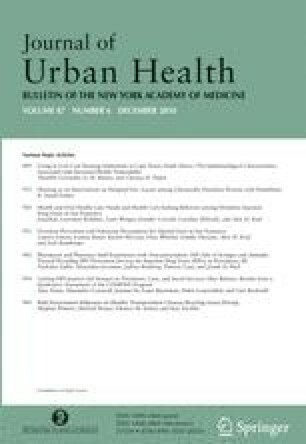 However, that these studies consistently find high proportions of participants reporting naloxone use at follow up may suggest that the proportion of participants who report naloxone utilization at refill is an underestimate of the overall proportion of participants who use naloxone after training. We found that the majority of individuals who used naloxone during an overdose event also indicated that they used other revival methods taught during DOPE trainings. However, a minority reported contacting EMS. An earlier survey of IDUs in San Francisco found that 62% reported they would be “less inclined” to contact EMS if they had naloxone.8 That 84% of participants who used naloxone reported successful reversal without EMS intervention may suggest that IDUs did not call EMS because they did not deem it necessary, given successful reversal. Among participants who did not know the outcome of the overdose event, calling EMS was more common. Nevertheless, calling emergency services is an important component of training, and efforts should continue to be made to assess and address IDU barriers to contacting EMS during an overdose event, as well as continuing to provide naloxone education and prescription. Among participants who reported using naloxone, the majority reported positive and successful experiences. Findings here on rates of success per event reported were within the range found in previous studies.32 , 34 Reports of adverse events were rare (<1% reported victim seizure following naloxone administration). In addition, although six deaths were reported, there was no indication that this was due to naloxone administration and may have been cases where individuals had been experiencing the overdose for several hours before a witness arrived. Our findings indicate that IDUs can and will successfully administer naloxone with brief training, intervening during overdose events that may otherwise be fatal. There were several methodological limitations that we encountered while interpreting our findings. All information is self-reported by participants and could be affected by social desirability or recall bias among participants completing the refill questionnaire. Due to participant non-disclosure, missing information about race/ethnicity and housing status made it difficult to assess any trends in refill receipt or naloxone use by these characteristics. Findings reported about naloxone administration and outcome excluded seven reports where unique identifiers could not be matched to clinical registrations. However, no serious adverse outcomes were reported in excluded records. This is the first longitudinal evaluation of participants, refill request, naloxone use, and outcomes among IDUs participating in a take-home naloxone prescription program in San Francisco. Participation has grown steadily among individuals at high risk of witnessing overdose events, and findings indicate that participants are motivated to receive refills following naloxone loss or use. Among trained participants who report using naloxone, nine in 10 report positive outcomes. Few serious side effects or deaths were reported. The findings presented here add to a growing body of evidence that supports the positive impact of NPPs as an intervention to prevent potentially fatal overdose events. The authors are grateful to the staff and trainers of the DOPE Project and SFDPH medical providers for their contribution to management of the program. Assistance with data collection and management was provided by DOPE Project staff and SFDPH medical providers. This manuscript is dedicated to the memory of Peter Morse, Ph.D., whose extraordinary work improved the lives of so many of us. Wagner K, Valente T, Casanova M, et al. Evaluation of an overdose prevention and response training programme for injection drug users in the Skid Row area of Los Angeles, CA. Int J Drug Policy. 2009. doi: 10.1016/j.drugpo.2009.01.003.